In putting all the garden to bed for the fall, we pulled up the last of the tomato and pepper plants. We found this “little” guy on one of the pepper plants. He had pretty much cleaned off most all the leaves. Cherub was fascinated and who could blame her. It reminded us of the caterpillar in Alice in Wonderland. This is either a tobacco hornworm or a tomato hornworm. 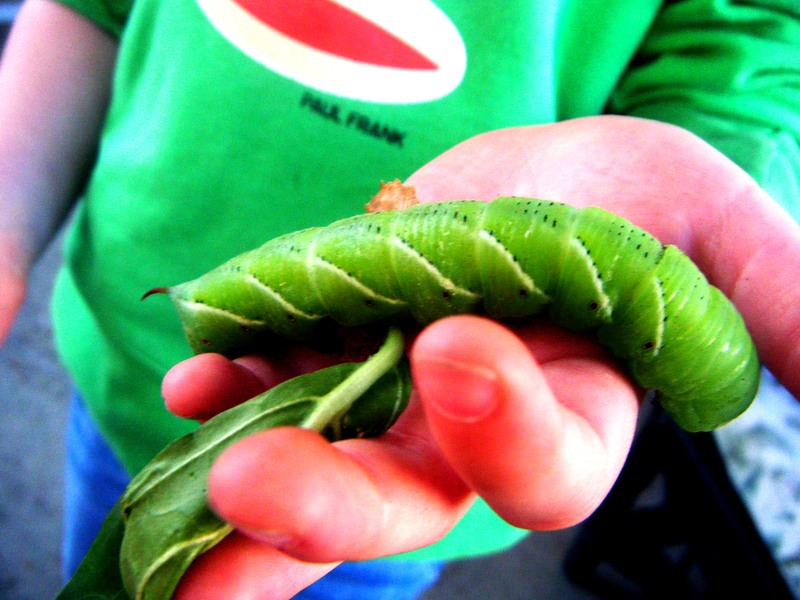 I’m leaning toward a tobacco hornworm. But whatever it is, it doesn’t sting or bite. We tossed it in the compost with the rest of pulled up pepper plants after our photo shoot. 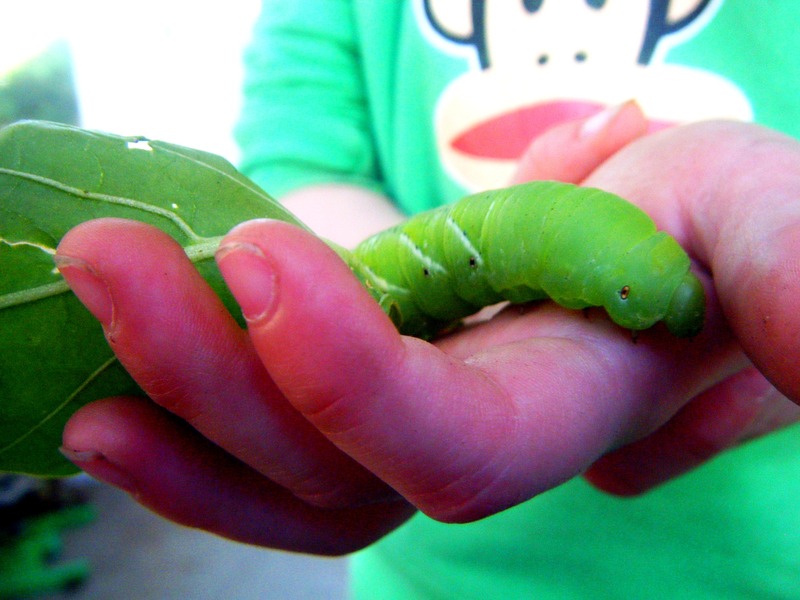 That is a huge hornworm! I’m glad you caught that rascal.